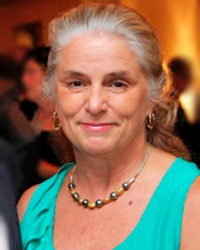 Dr. Catherine E. Patla has served as a faculty member since the University was founded in 1979. She was dean of professional education from 2011–2014 and co-director of the residency and fellowship programs from 2010–2013, among many other contributions. From 1993–2001, Dr. Patla served as a clinical assistant professor at the University of Tennessee Health Science Center in Memphis, and as an assistant clinical professor at the Medical College of Georgia in Augusta from 1990–1996. She has also served as a senior clinician at Flagler Hospital’s physical therapy department in St. Augustine from 1988–1996. She currently participates in patient care part time. Dr. Patla has also worked as a senior physical therapist at St. John’s Medical Park in St. Augustine, Massachusetts General Hospital in Boston, Clayton General Hospital in Georgia, and the Mason Clinic in Seattle. She published two chapters in the Manual of Physical Therapy (Churchill Livingstone, 1989) and has written numerous course manuals, including home study courses for the Institute of Graduate Physical Therapy. Dr. Patla has presented her work consistently throughout her career. Recently, she presented at the American Academy of Orthopaedic Manual Physical Therapists (AAOMPT) in St. Louis, Missouri, Florida Physical Therapy Association (FPTA) student conclave in 2016, and at the University of Otago in Dunedin, New Zealand, in 2015. She serves as a reviewer of the American Board of Physical Therapy Residency and Fellowship Education (ABPTRFE) on behalf of the American Physical Therapy Association (APTA) for credentialing residency and fellowship programs from 2008–2017, and as a reviewer of articles and books for the Journal of Orthopaedic & Sports Physical Therapy from 1993–2010. Dr. Patla has served as an examiner for the Manual Therapy Certification (MTC) offered by the university since 1980. She is a member of the AAOMPT and the APTA. She is a member of the APTA’s sections on: Orthopaedic, Education, Hand, and Health Policy Administration. She is a fellow of the American Academy of Orthopaedic Manual Therapists (FAAOMPT). She has served on the Florida House of Delegates for 13 years, as chief delegate for three of those years, and has been elected as delegate for the 2017 session. She was President of Florida chapter from 2007-2009. In 2012, she received the John McMillan Mennell Service Award from the AAOMPT. In 2011, she received the FPTA’s Fred Rutan Award for Excellence in Service, its highest honor. The same year, Dr. Patla was also honored with the Richard W. Bowling–Richard E. Erhard Orthopaedic Clinical Practice Award from the APTA.In June 2017, she will receive the Lucy Blair service award from APTA. She has also received an MTC from the Institute of Physical Therapy and an Orthopaedic Specialist Certificate (OCS ) from the American Board of Physical Therapy Specialties (ABPTS).